This digital collection features a reproduction of the photocopied Albert Krueger letter (MMS-1911), written by Krueger while serving in the Army during World War I. A transcription of the letter is also provided. A photocopy and written transcription can also be accessed at the Center for Archival Collections. View the item catalog record. 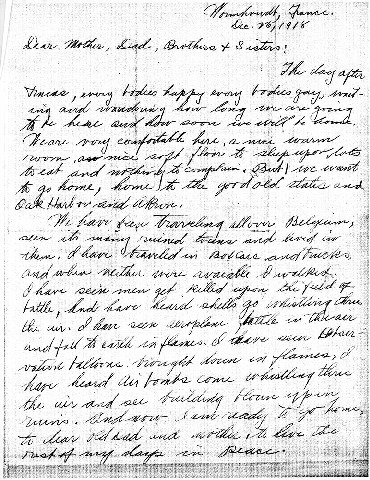 Letter from Albert Krueger to his family about what he has seen during the war, the weather, and longing to be home.